As Ethereum mining has increased in popularity, certain graphic cards/GPUs are becoming harder and harder to find. All of the RX460 and RX470 cards have been sold out for months, and if you do happen to get one, it will be for well above retail price. That’s forced ethereum miners to look for other GPUs for mining rig builds. The GTX nVidia cards didn’t use to be worth it, but as the price of the Radeon cards has been driven up, the nVidia cards are now turning into popular options as well. That’s why I opted for the GTX 1060 cards in my mining rig. The real beauty of the 1060 is that after adjusting the overclocking settings and power target options, the 1060 can mine about 95% of it’s max hashrate at about 70% of the power usage – leading to a better return on investment. Here’s the settings and results I got from my two EVGA GTX1060 6GB SSC gpus. 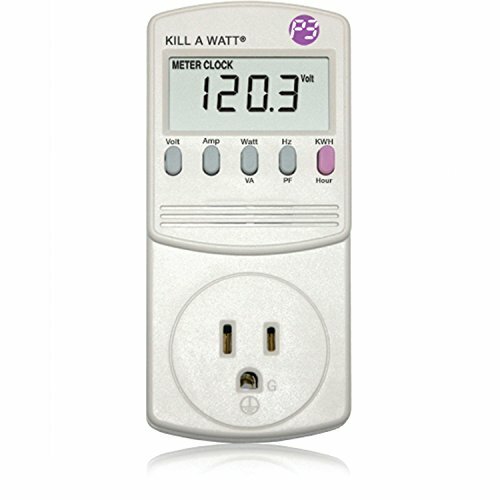 For each setting change, I let them hash for an hour and then took the resulting average hash rate, and recorded the power usage from my Kill-a-watt power meter (we review the best power meters here). To start, I increased the memory overclock settings until the GPUs weren’t stable for ethereum mining, and then I played with the core overclock setting (which didn’t seem to really change anything for power usage or hashrate). Lastly, I decreased power settings until my GPUs were mining ethereum at pretty much full speed with way less power consumption. The sweet spot for these cards was with a memory overclock setting of + 950 mHz, and a power target of 45%. At this setting the power usage was around 70% of the highest hash rate, while hashing at about 95 % of the highest hash rate! What I did notice is that my first card’s hashrate was always slightly lower than my second card. When I started looking at the info presented by Claymore’s miner, I saw the temperature on my first card was always 5-10 degrees hotter than the second. I finally figured out that since I had plugged these 2 GTX 1060s right into my motherboard, one of them had more airflow than the other – can you guess which one? I have some PCI-e risers on order so that both cards can be up, away from the mining motherboard, and then they’ll hopefully run about the same temperatures and hash speeds. Do you have 1060s in your Ethereum altcoin mining rig? What settings do you have them at? Writing manually takes a lot of time, so I appreciate the in-depth content you provided on Mining Ethereum! I am just getting interested in cryptocurrencies and I’m glad to have found your write-up. I get zero rejected ethereum shares, at least according to claymore’s. The reason I bring this up is you could be seeing more shares actually rejected by the pool than you are having show up on your mining software. Make sure to check it out and adjust accordingly, you may have to drop the memory and therefore hashrate ever so slightly. Heat may be causing errors on high overclocked memory chips. fairly sure shares are checked once by the software and then again at the pool…………………….. Very impressive numbers though and widely available cards compared to the overpriced AMD cards at the moment. Rejected shares are basically non-existent, even on the pool. However, I do see about 1% of my shares are stale – whatever that means? RE Temperature: I’m still waiting for my PCI risers from China, should be here any day, and that will help me space out my cards. Thank You, very good guide. That was what i needed to know before buying. Definitely believe that which you said will help with settings on GTX 1060 6 gpu mining rig. NEON has taken what DASH tried to be and made it even better. Masternodes earn 90 of the block reward and are not required to use third-party software such as Python and/or Sentinel, to run a Nucleon Masternode. Nucleon is the first coin to feature Internal Sentinel, which is hardcoded into the wallet and automatically run and will be fully configured for you.. inside the wallet! If you are a MINER, then there is even more in NEON for you because it uses the brand new, top of the line, VRX/Velocity Difficulty Retargeting Algorithm. This means blocks are reliable not only by difficulty, but also by actual time!